What is Oral Liquid EDTA Chelation Therapy? Chelation therapy is the removal of toxic heavy metals and mineral deposits in the body. Chelators are traditionally given to people who have some sort of heavy metal poisoning, although more and more doctors today are turning to chelation therapy to help heart patients stay healthy. 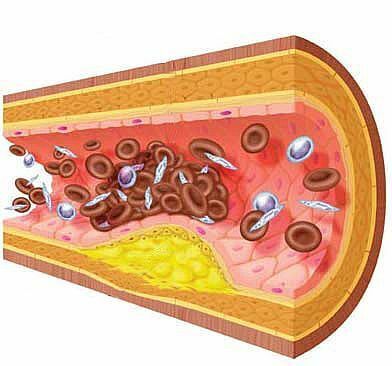 Chelators can be used to reverse the effects of arterial blockage caused by calcium plaque and fatty deposits. The chelator used for heart health is Ethylene Diamine Tetra-acetate Acid, or EDTA. EDTA taken orally or intravenously is well known to open up small blood vessels and allow them to be more elastic. Angina pectoris and lower extremity claudication are the two classic blood perfusion problems that are often clinically improved with EDTA chelation therapy. It is also known to improve blood pressure, slow or stop the progression towards atherosclerosis, as well as effectively treating a wide range of other cardiovascular and circulatory conditions.